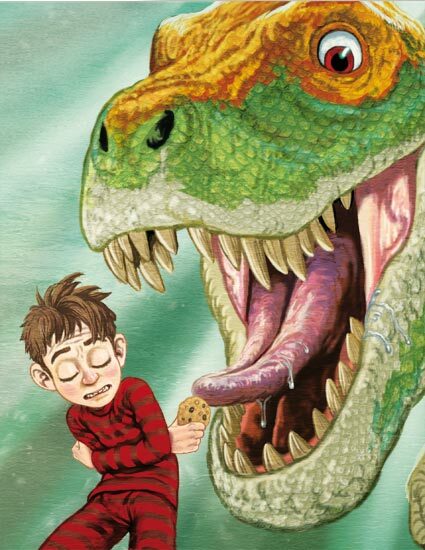 A cookie, a time machine and dinosaurs, let the adventure begin! While sneaking a cookie from the jar he hears a strange noise coming from his mother’s vegetable garden. 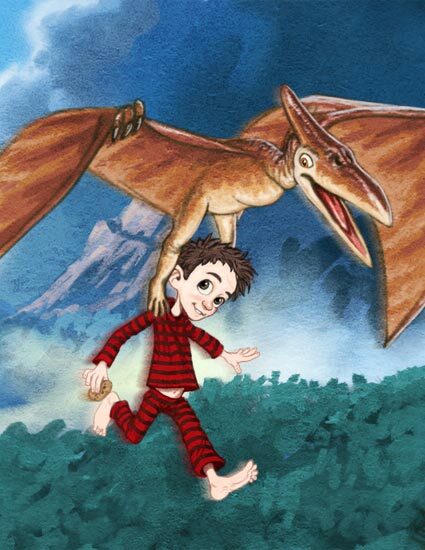 What he discovers takes him on a wild adventure that involves, flying, feeling like a giant and coming face to face with a Tyrannosaurus Rex! 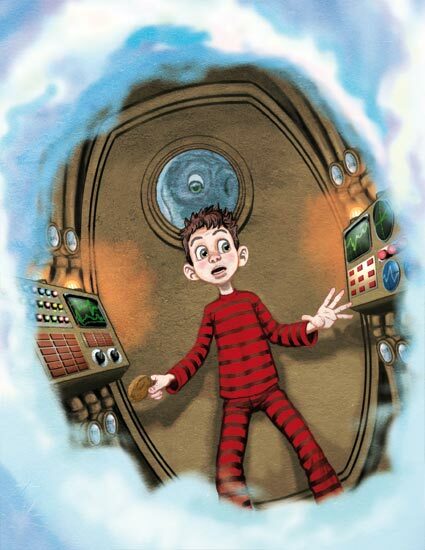 Join Darcy as he learns that curiosity can take you places beyond your wildest dreams. The first book of Nicole Madigan. I love this book! 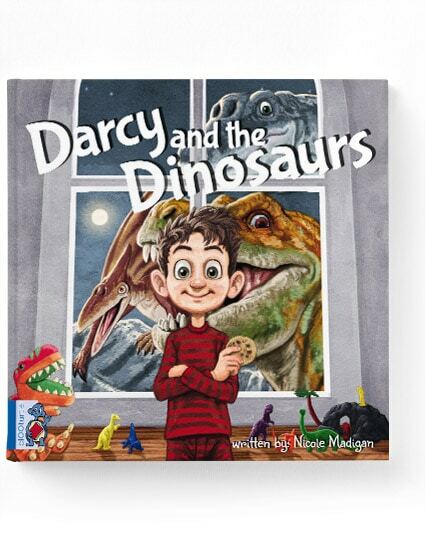 It’s a heart warming story from an up-and-coming,young Australian author, Nicole Madigan. It’s well written and beautifully illustrated. 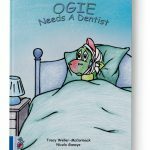 We all know a Darcy, so get a copy of this book and enjoy the journey. 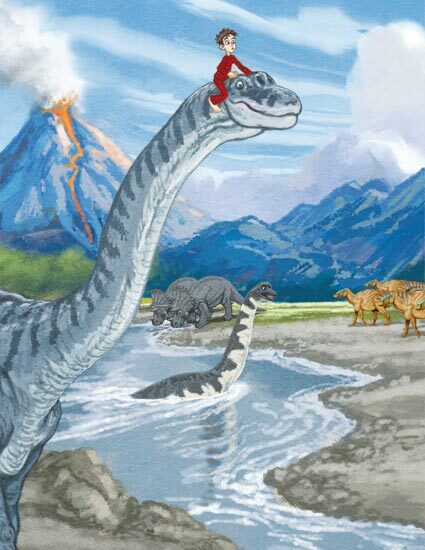 I highly recommend Darcy and the Dinosaurs to everyone with children. You can never beat a child’s hardcover book to read at bedtime, or anytime. My 4y.o. boy loves this book. It’s on regular rotation at bedtime. What I loved about this book was that it was written FOR kids, where a lot of picture books seem to target adults and just don’t hold the children’s attention. The quality is also stunning! I wasn’t sure what to expect with it being an eco-friendly book, but this looks and feels beautiful.